After months and months of planning and plotting, you've managed to execute a flawless proposal. So now you can kick back, relax, and let the wedding take care of itself ...or so you think. 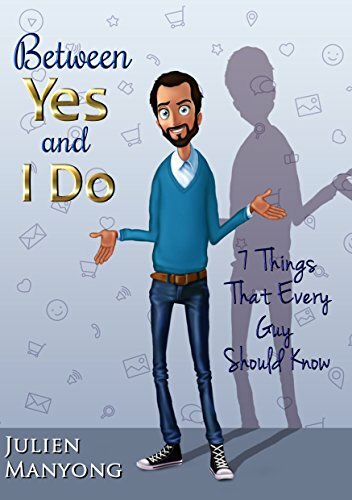 A must-read for any groom-to-be, "Between Yes and I Do" is a manual to help even the most clueless person successfully navigate the challenges of being engaged. In this handy "how-to," author Julien Manyong shares his firsthand engagement experiences, guiding readers with seven tips to engagement success. Written in an engaging and entertaining style, at turns humorous and instructive, "Between Yes and I Do" is his attempt to spare others the trials he faced as a novice by providing the guide he so wished had been available to him. This guide will almost certainly have at least one piece of advice that will undoubtedly make one of life's most important experiences that much more perfect.